The main objective of ASTRail is to increase the efficiency and safety in the railway sector. ASTRail will contribute to enhancing the signalling and automation of the railway system thanks to innovative solutions that exploit cutting edge technologies already in use in sectors different from the rail, such as the aeronautic or the automotive sectors. Investigation of such technologies and assessment of their reusability in the railway field will be done taking particular care of issues related to safety and performance in the rail system. 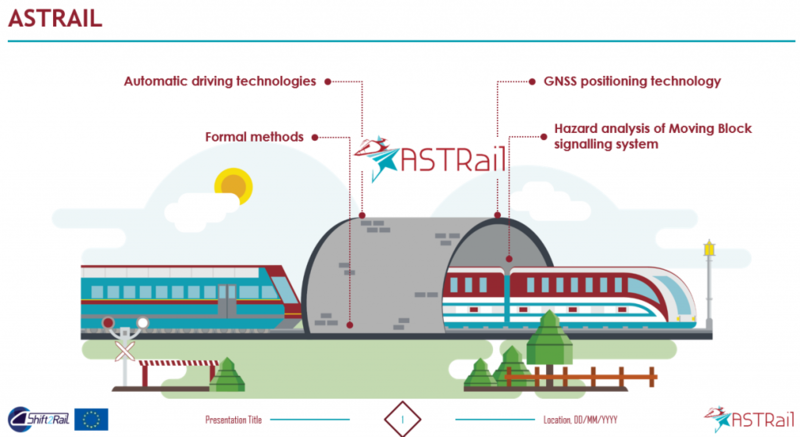 reviewing and assess the main formal modelling and verification languages and tools used in industrial railway applications, as well as the most promising ones highlighted by the scientific literature; ASTRail will take further the analysis to define the optimal set of languages and tools and will validate them with representative components deriving from other tasks of the project.